TL;DR: While each person has a different experience the “average” is 65-75 hours and 4-6 months. Personally, I did it in 71.4 hours over 5 months and 23 days. If you are a pilot you have been asked this question several times. “How long did it take to get your pilot’s license?” If you are anything like me you can give them the amount of time both dollar wise and down to the hour, but let’s find a reasonable answer we can give the masses. Honestly, the answer really is “it depends, on several factors.” Now, rather than leave you with that I will do my best to fill in the gap and give you the best answer possible. How Often Can You Train? This is probably the single most important question you can ask yourself. Whether time or money dependent answering this question will give you an idea to the length (and ultimate cost) of training. For example, I averaged 2 scheduled flights per week and from first discovery flight to date of check ride was exactly: 5 months and 23 days. And a total of 71.4 hours. Now, even for me, some factors applied to that. I work a normal full-time job and I am the mother of 2 wonderful boys, so I couldn’t devote all my time to aviation. However, I spent many a night after my kids went to bed studying what was required. Enough about me, more about you. The more often you train, the less you will have to repeat for the next flight. Simple as that. There are programs out there that boast that you can have your PPL in as little as 2 weeks. However, your life for those 2 weeks are aviation. Not that that is a bad thing, just something to know about. I’m trying to give you all the information so you can make an informed decision. authorized instructor and 10 hours of solo flight training..."
40 hours. The minimum requirement. Now, there are some who can do it in that amount of time, but your situation may vary. A quick google search will give you answers ranging from 55- 85 hours is the national average. Here’s what I would say… screw the numbers! Fly as long or as little as you need to get your license. Your time is your time. If you feel you need more than take more. If you can confidently pass the check ride at the minimums than do that. Flying is a privilege that only few will ever have in their lifetime. Take as long as you need to join the rank of pilot. What Kind Of Plane Can You Rent? Now we are getting into cost as much as time. For me, I was in a piper Cherokee PA28-140. A two-seater plane that was a little less than the Cessna 172 so I took that option. This plane was an analog cockpit with minimum fuel burn and VERY minimum electronics. If your option is to learn to fly in a Cirrus SR20 or a Piper Cub you may have a steeper learning curve to begin with. However, as you can see, this is only one of several equations that determine how long and how much a license costs. Realistically, the more primitive the plane (ie: the closer to the first flying days) the less curve you have to learn. If you have to figure out a Garmin G1000 on Day 3 of flight you may take longer to get your license. And when it comes to a glass cockpit, your ‘potential ability to lose power’ can extend your training requirements for safety. Now, this stat is skewed based on the complexities of the national airspace as well. The Wright Brother’s didn’t have to worry about airspace complexities when they took their first flight. Is It Worth Buying A Plane? Buying a Plane during initial training can have a cost savings. 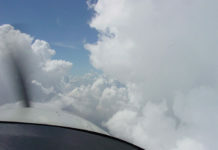 HOWEVER, the added requirement of keeping your plane in flying condition while learning to fly can be very overwhelming. Buying a Plan AFTER initial training is best justified by additional questions of use and amount of time spent in a plane. 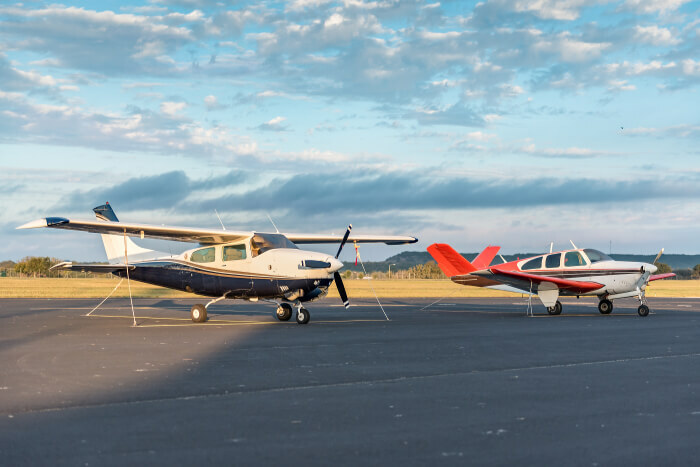 If you are going to knock out your training in 2 – 7 months and you buy a trainer airplane (a Cessna 152 or Piper Cherokee) with the idea of selling or upgrading when you have your certificate then buying can be a significant cost savings. Personally, I rented. This gave me the opportunity to focus on learning to fly instead of learning to fly AND learning to own a plane. However, I am very quickly realizing the benefits of owning a plane now that I have my license. When breaking down my final cost to learn to fly most of it went into the cost of the plane. When you figure that based on current prices at my FBO you can rent the Cherokee for around $120 per hour and the instructor is about $50 you can see how the costs can add up. 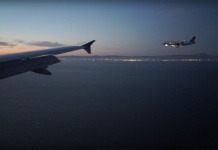 At $170 per hour and a minimum of 40 hours required flight time you spend about $6,800 solely on flight time. I was closer to $12,000 at that rate. If you are lucky enough to have someone who will teach you for $20-$30 per hour in a plane that you own with an average cost of $100 per hour you can see how your costs can go down. In this scenario you have about $130 per hour. The minimum 40 hours runs you $5,200 and my total time would have been $9,200. So, in an expensive hobby if you can find a good teacher who will train you in your own plane you can save a couple thousand dollars. However, the added stress of it being your plane and keeping it in flying condition may be more than some can handle. Speaking of the expense side of learning to fly there are many different ways to get funded for your flight training. While my list below is in no way exhaustive it is a great representation of what is available out there for pilots of all levels. As with everything else we have discussed today there are categories of scholarships that depend on different qualifying information. AOPA. 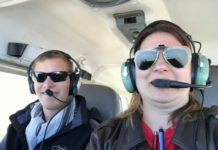 Known as the leading organization for pilots and pilot rights, the Aircraft Owners and Pilots Association has several scholarships they award every year for those learning to fly. EAA Young Eagles. Members of the Experimental Aircraft Association Young Eagles program can apply for scholarships for either flight training or aviation school tuition. Women In Aviation. 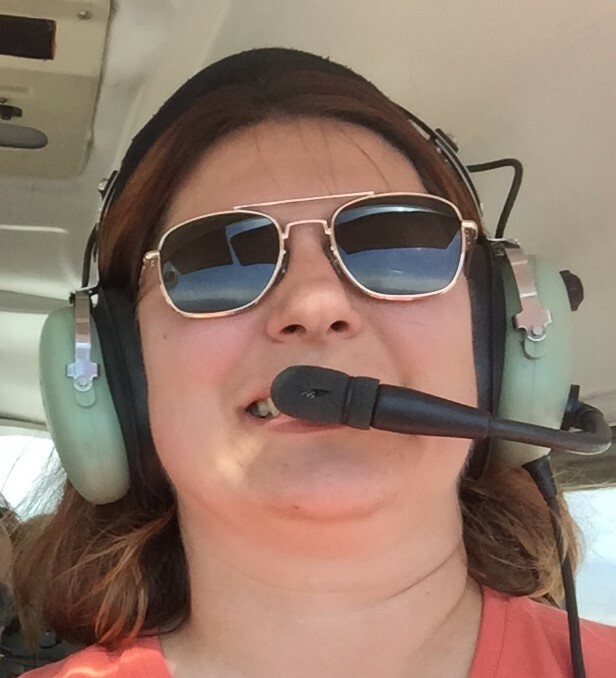 While the name of the organization can be a little misleading, the Women In Aviation scholarship is available to both men and women who meet the criteria set by the scholarship sponsor. Their scholarships are for all types of training from inital to ATP. Leroy Homer Jr. Foundation. If you are working towards obtaining your pilots license, not any advanced training, and are a citizen of the U.S. and between the ages of 16 and 23, and not enrolled in a collegiate aviation path you are eligable to apply for this scholarship. Aviation Distributors and Manufactures Association. ADMA awards at least one scholarship to deserving third and fourth year college students in a business aviation management or pilot program. National Business Aviation Association. The NBAA is more focused on the business side of aviation degrees. However, an aspiring pilot is not excluded from applying for the scholarship. Boeing. For obvious reasons Boeing is involved in the future of pilots and aviation. Check out their page and contact them for the opportunities they have available. Women In Aviation. While mentioned earlier, Women in Aviation award the highest amount of scholarships to women who are learning to fly. The 99s. 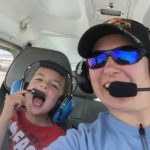 One of the most premiere women’s pilots groups (and the only one you are required to be a women pilot or student pilot to join) offers several yearly scholarships for women in various stages of training. Scholarships are limited to members and require a chapter to nominate you. National Gay Pilot Association. Scholarship funds are designed for training beyond the private pilot license. While it is not required to be part of the LGBT community to be awarded this scholarship it is offered to those who demonstrate support for the community. Organization of Black Aerospace Professionals. Similar to the 99s, the OBAP requires membership to be eligible for their scholarship. Scholarship monies are only valid on post PPL training. Aeroism Flight Academy Veterans Scholarship. A scholarship provided to any member of the service honorably discharged. A copy of your DD214 needs to be submitted with the essay. Local Scholarships. This would be something that is local to your area. 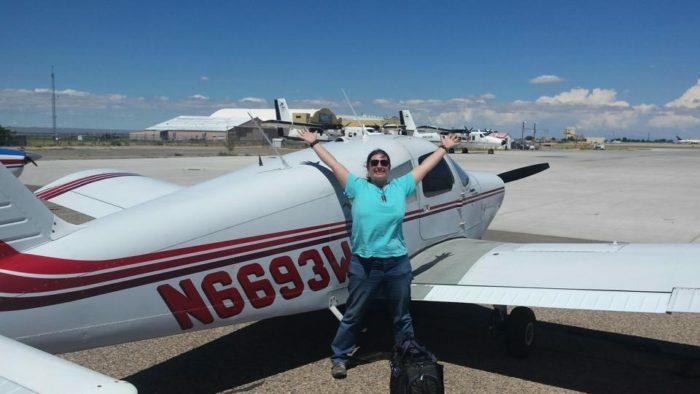 In my state there is the New Mexico Agricultural Aviation Association that has a scholarship. You can find these by doing a quick google search of your state + aviation scholarship. Business Scholarships/Flying Clubs. For example, I worked for Boeing for a time. While I wasn’t actively involved in trying to get my license back then, there were programs available to me to help reduce the cost of learning to fly. The same for when I worked at Intel. So, check with your boss and see if there are any programs through work you can take advantage of. As you can see, finding ways to offset your training costs are out there, you just have to look for them. However, no matter where you get the money for training it will still take time and dedication to complete. Rome wasn’t built in a day and you wont be given the keys to the sky in a week either. What did I miss? Is there anything you would add to the conversation on how long to get your private pilots license? Let me know in the comments.